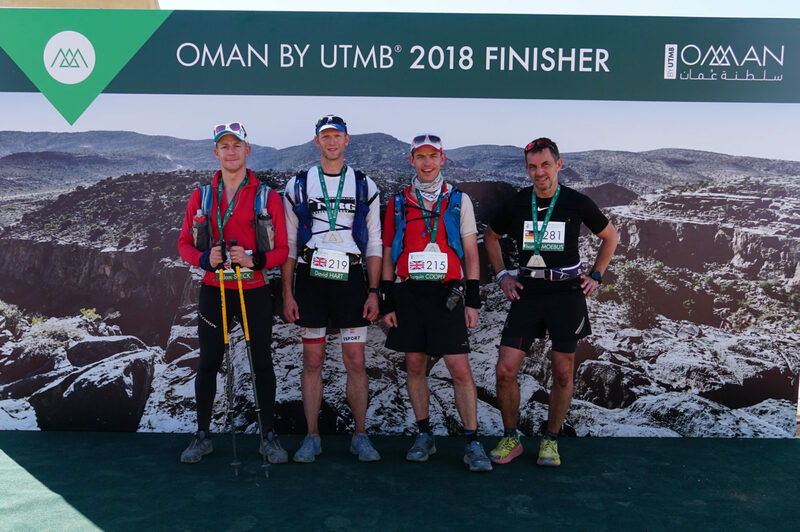 Anyone entering the first Oman by UTMB looking for an easy way to collect six points was in for a surprise – the race was a monster, with a DNF rate of 60%. Tarquin Cooper was among the few who got to the finish line. It’s been christened ‘the beast’ and the ‘world’s toughest ultra’. 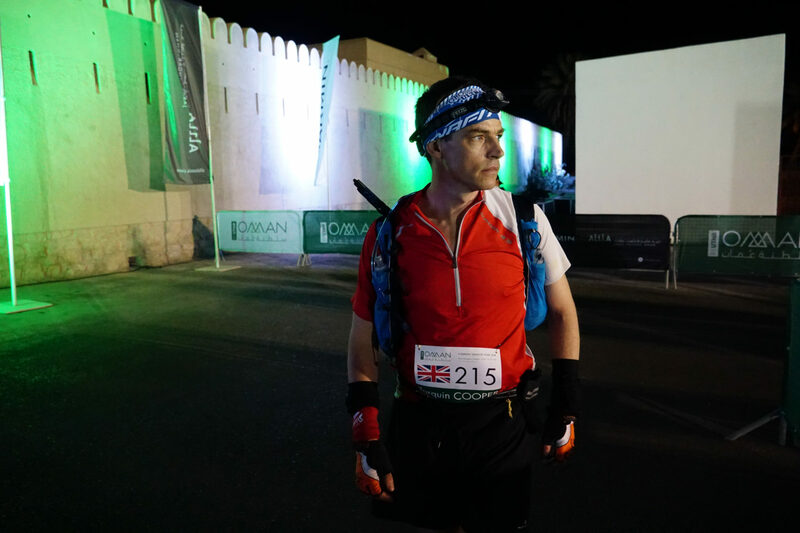 Three hundred and twenty six athletes set off from the start line at 7.30pm beside the ancient fort of Nizwa. By the time the curtain came down on the race some 44 hours later, just 135 had made it to the finish. 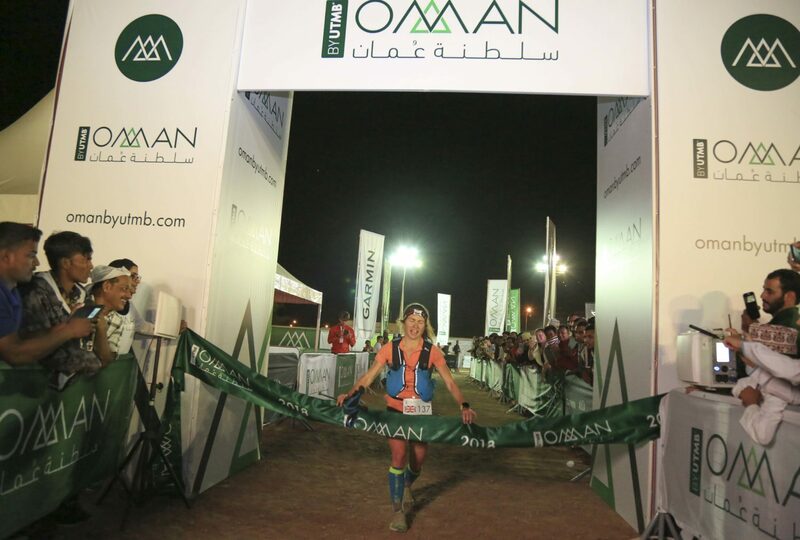 Anna-Marie Watson, first female and ninth overall also said it was the most technical course she’d ever encountered, which the blackened and weeping toenails on both big toes seemed to testify. 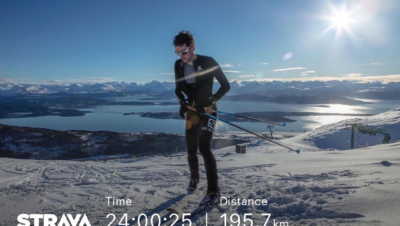 The British runner finished in a time of 26h 20m. The route isn’t the longest distance out there: 137km with a stated altitude gain of 7,800m (although quite a few of us recorded a gain of more like 7,300m). Compare that to the UTMB’s 171km and 10,040m and racers could perhaps be forgiven for thinking that this was going to be manageable. 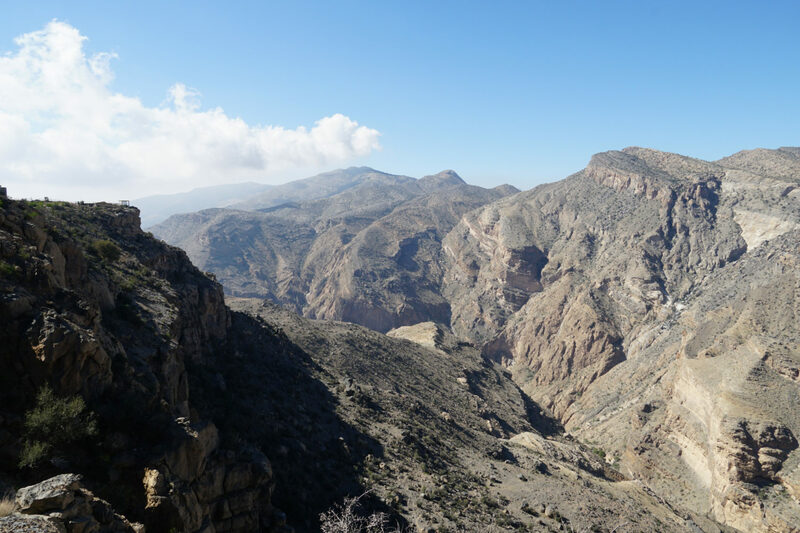 But whereas the meadows and trails of the Alps have been chewed by cows and trod by the footsteps of hikers and runners for centuries, the Al Hajar mountains are of a different nature. “You have never been to mountains like this,” warned race director Glyn Broomberg during the pre-start briefing. 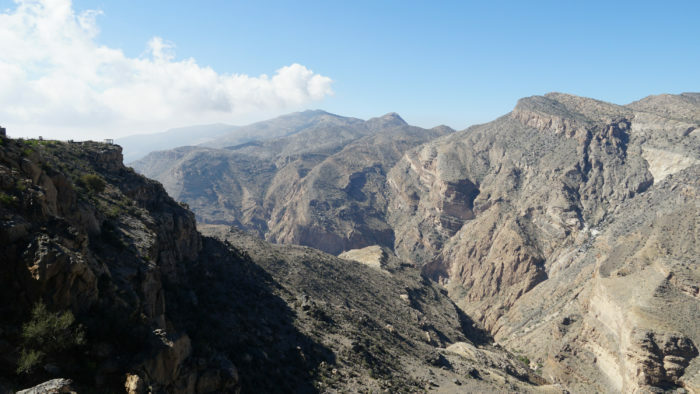 The route plotted a course across the Jebal Akhdar massif, part of the limestone Al Hajar mountains, the highest range in the eastern Arabian peninsula. 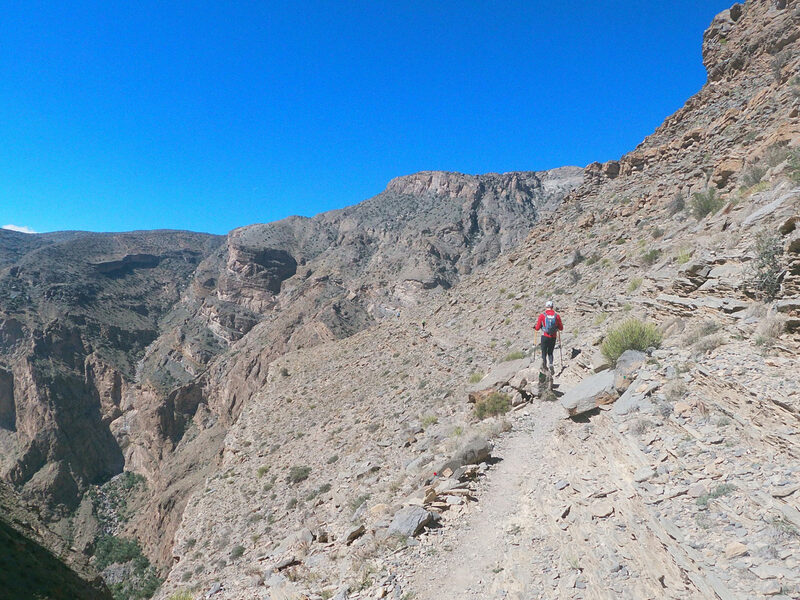 The route followed trails up into the mountains and across wadis (river beds) that in some cases were only built by the organisers just months and weeks previously. This produced an extremely technical and unforgiving course. 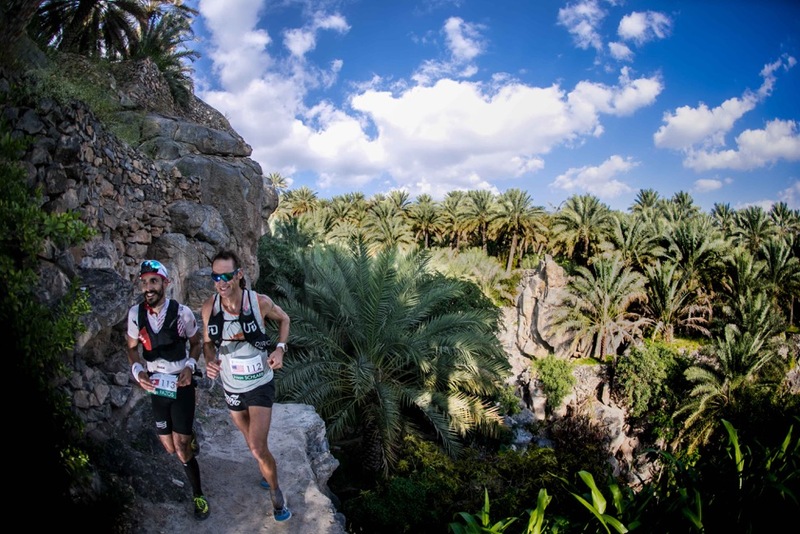 Trail runners hoping for fast and flowy trails were in for a nasty surprise – this was extreme rock and boulder hopping for 137km. Fortunately, like most of the runners, I had no awareness of that at the start. I’d picked up that times would be slower as the terrain was quite tough. I appreciated there would be some technical sections, including a Via Ferrata climb to one of the checkpoints. But I hadn’t reckoned I’d be needing any climbing skills. This was probably just as well, as I was far from in peak condition. 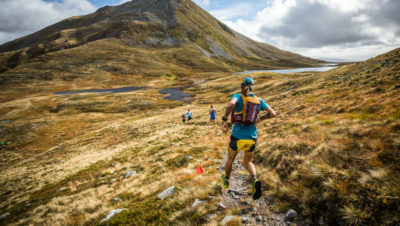 I signed up for the race the moment I saw it advertised back in June – it had all the ingredients for an awesome ultra: epic wild location in an area I’d never visited, and best of all, no points required to enter. Unfortunately, the day after I signed up I fell off my bike in London, fracturing my collarbone and only started running again in early September. My training was not ideal. 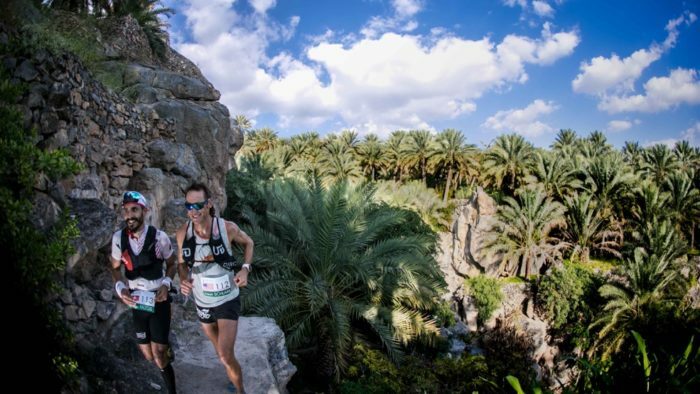 The race began fast with a 4km loop around the ancient city of Nizwa before heading up a dusty and rocky trail into the mountains The first cut-offs were quite harsh – just five hours were allowed for the first 25km / 1,122m. A walking start wasn’t an option. It was a tricky dilemma to manage: I’d given myself strict orders not to go out too fast but I didn’t want to feel the pressure of the cut-offs hanging over me. I think I got the balance right, arriving just under four hours. 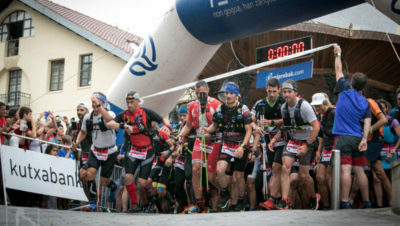 The second stage involved another 21km with 1,133m of ascent along stony riverbeds and through abandoned villages before climbing onto the much-anticipated cliff-top plateau, with huge drops to the valley floor. Almost disappointingly, I didn’t realise I’d run this stage until afterwards. 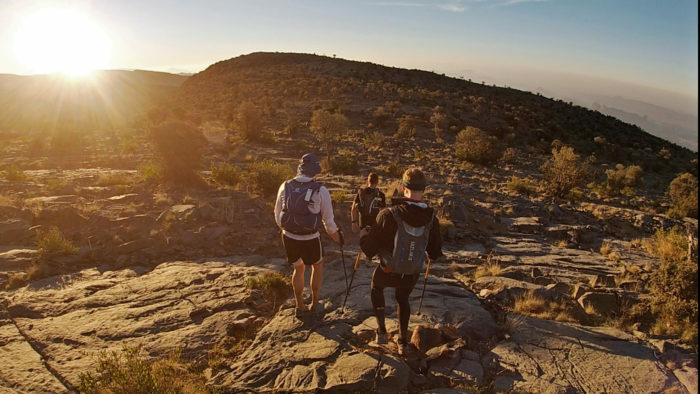 The trails were technical with concentration required for every step, particularly when it came to negotiating the many steep descents and ascents. This wasn’t the kind of terrain where you could just close your eyes and let yourself fly down. But this suited me; I was enjoying myself. I felt I made the right choice going with my Salomon Ultra Pros* instead of my Hoka Ones – opting for less cushioning but more control on the unstable terrain. And taking poles was absolutely the correct decision. It was only when we hit a gently descending dirt road that my legs started complaining, but fortunately that didn’t last long and we were back on uneven terrain and another unending climb. Dawn broke to reveal us running along a jaw-dropping edge of a gorge. In more than a few places the exposure was ridiculous. 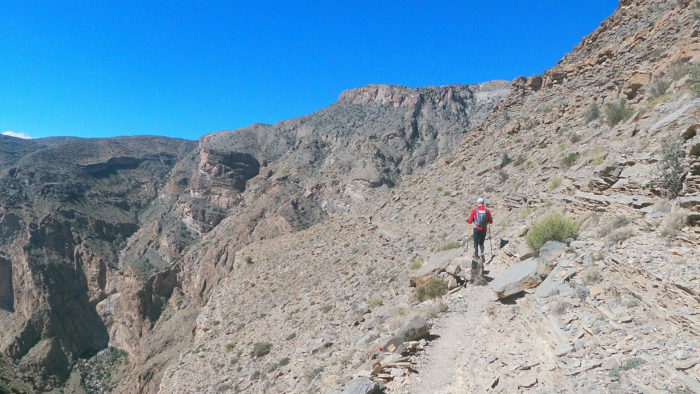 An American runner noted that it was like the Grand Canyon. Everywhere I looked I saw the perfect Instagram shot – the rich warm colours of sunrise, the long shadows and the perfect cliff-top edges. I managed a couple of crap selfies. It was good to finally see where we were; to appreciate the awesome surroundings and feel a bit of warmth going back into our bodies. It was a magical window. Before long the sun was up, turning the landscape into a furnace, sucking every bit of moisture out of our bodies. At this stage, mine was holding up ok. I was happy, in good spirits. But in the hours leading to lunchtime, some of the wheels started to come a little loose. The race was beginning to take its toll. I remember passing a runner taking a rest on some steep switchbacks and the look of utter defeat written on her face; she quit as we walked into the next checkpoint. By now were were about 70km in with the major aid station of the Alila hotel (serving hot food and rest opportunities) just 10km away. But those 10km were some of the longest of the race. The hotel was within sight but it felt like the organisers were sending us on a wild goose chase around the canyons just to clock up some unnecessary miles, some of which were extremely steep, exposed and unpleasant. On one descent I slipped on the loose scree and my pole snapped. My worst fear had just been realised. We climbed down to a wadi where a 600m climb to the hotel would begin. It was interesting, as climbers might say. 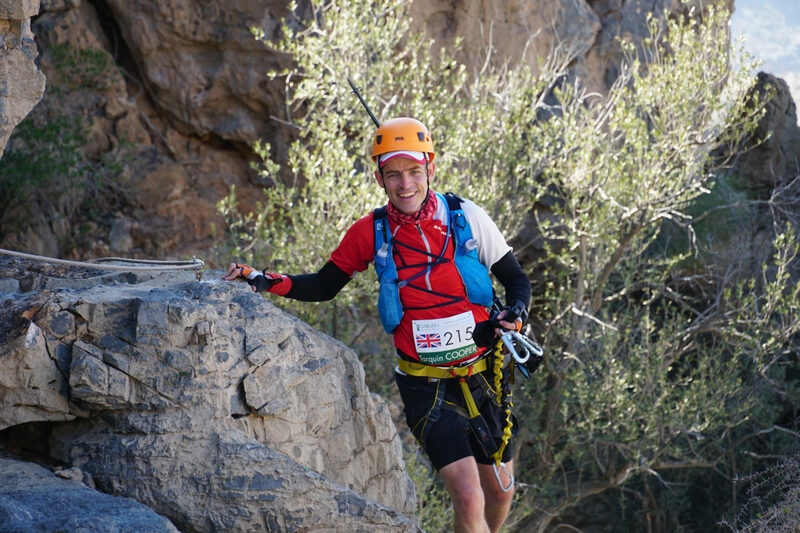 This was the point the race ceased to be an ultra marathon for me but an adventure race on foot – and this was the canyoning section. We scrambled up and over rocks carved by the force of water over millennia, using techniques more appropriate to the gritstone edges of the Peak District than a running trail. As I traversed along one section of sloping rock, my upper hand feeling for holds, I remember thinking, this is actually quite serious. Up we climbed until at the foot of the final 100m ascent to the top, which had been equipped as a Via Ferrata. We donned helmets, harnesses and followed the steel cables to the top. Ironically, compared to some of the terrain we’d already passed, it felt almost comically tame. And it wasn’t even close to what lay in store for us during the early hours. At the aid station I met my supporter Sarah and heard some shocking news: over 100 people had already quit (a figure that was rising by the hour). I couldn’t believe my Swedish friend Fred, who’s run some of the world’s most extreme trail races over the last 20 years was among them. “This is not trail running,” I heard him complaining. “I should have brought hiking shoes for this.” Many of the other runners were saying similar things. Sarah rushed around, procuring hot dishes of pasta, rice, dhal and soups while a race volunteer said he’d get the medical guys to work on my pole. I don’t know if they were bored, or just wanted to practise some leg-splinting but my pole came back ten minutes later almost stronger than before, the severed end reconnected with cable ties and medical tape. It’s still going strong. For the last few hours I’d been running with a couple of British guys, Adam and David and now we made a pact. We decided to join forces formally, treat this as an adventure race, and work together to make it to the end. It was a good call. As darkness fell that night, we found ourselves on one of the most rugged and remote sections of the course. Here we picked up a lone German straggler who was grateful for the security of numbers. That took our number to five having earlier been joined by an expat Aussie called Aaron. The closing hours of the day were spent on one of the most soul-crushing descents imaginable – an interminably long, steep and dusty road which brought out everyone’s injuries. We took our time at the next checkpoint to recharge and refuel before the last climb. I got the medics to look at my feet, which were now sporting blisters on each sole and heel but the pain of having them drained and cleaned was unlike anything I’d experienced. I remember the briefing notes saying something about how we’d be ‘pleasantly surprised’ by how quickly we climbed. I figured it would be steep and involve some scrambling. But what we encountered defied all expectations. 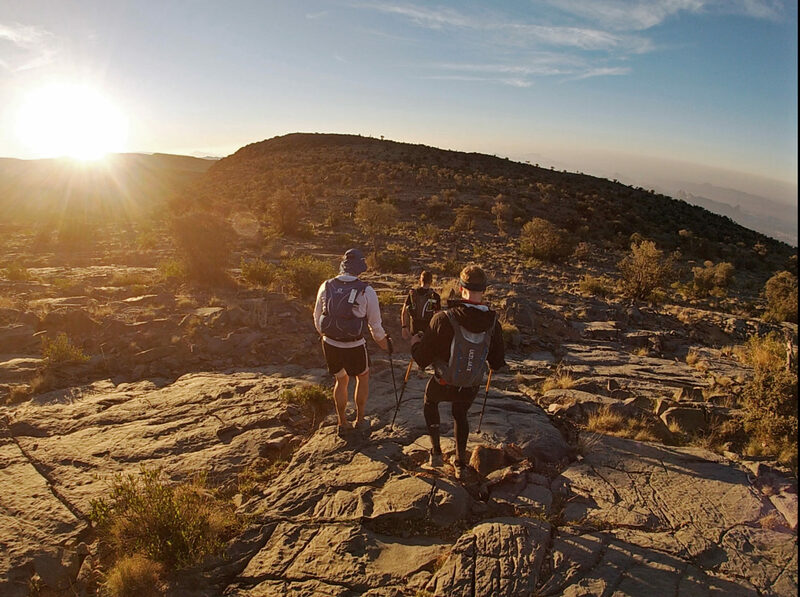 It was an extremely exposed and relentless scramble up steep rock, involving some delicate footwork, care with loose and wet rock and some very precipitous and airy passages where a strong head for heights was paramount. Here we were, in the darkness, our second night without sleep, climbing up terrain that felt infinitely more treacherous than the Via Ferrata, without any protection or cables for support. At one point the gap between the red (danger) markers and the green was about a foot. And we were suffering. My every footstep was sheer agony thanks to my now throbbing blisters. Half way up, Thomas, our German friend, started experiencing muscle spasms in his leg and struggled to go on. “Just leave me here,” he said. As a team we looked out for each other, pointing out the danger markers, the loose rock, stopping frequently, cajoling and encouraging each other, while also wondering how sensible it was of the organisers to put an unprotected vertiginous climb at the end of an ultra. Had they heard of risk assessments? After three hours we felt the wind from the north, a sign that we were finally close to topping-out. But what should have been a high-point turned into confusion and our slowest rate of progress on the whole course. We’d made the mistake of assuming it would all be downhill from here. Instead we had to negotiate 6.4km of ridge-line at altitude before going down. And that’s when our brains starting playing tricks. “I can barely stay awake,” Aaron said. “Me too,” I replied. Shapes were starting to appear in the rock and I was desperate for some shut-eye. The only thing that kept me going was the fact I was with others who were moving. The temptation to sleep proved too much for one competitor. We saw him taking a rest, next to a cliff-edge. “You might want to move away from there mate,” Aaron said. And so we did until the sun began to rise, clearing our minds in the process. 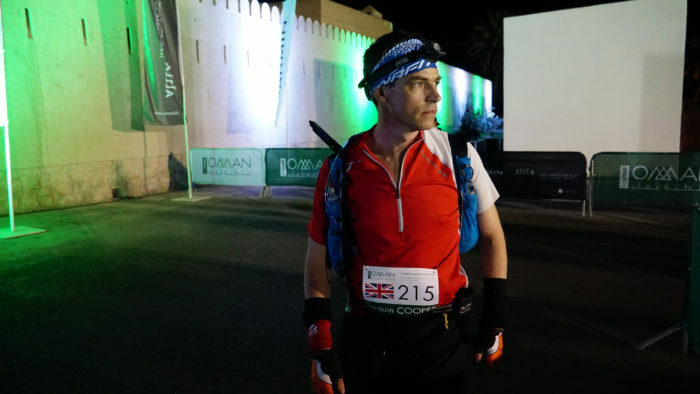 Eventually we made one of the final checkpoints, gathered our senses, stripped off our warm layers and focused on the final 12km run to Al Hamra. With renewed hopes we bounded off down the mountain, but running soon became too hard on our battered bodies, particularly on rock that was just not runnable. The last few kilometers of an ultra are never going to be the fastest or most enjoyable. At this point the only abiding emotion is to get it over with. 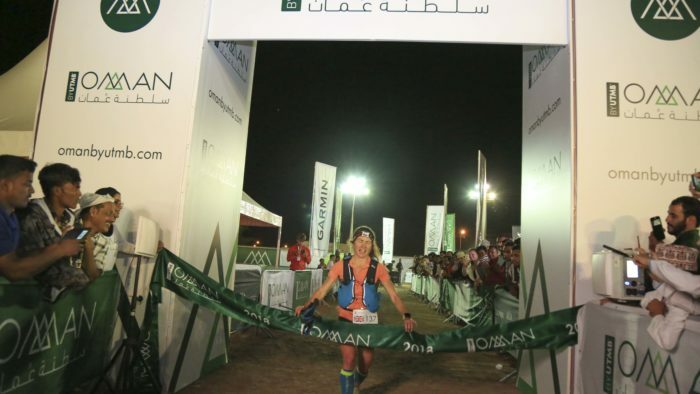 And the UTMB Oman still had a few surprises in store for us. 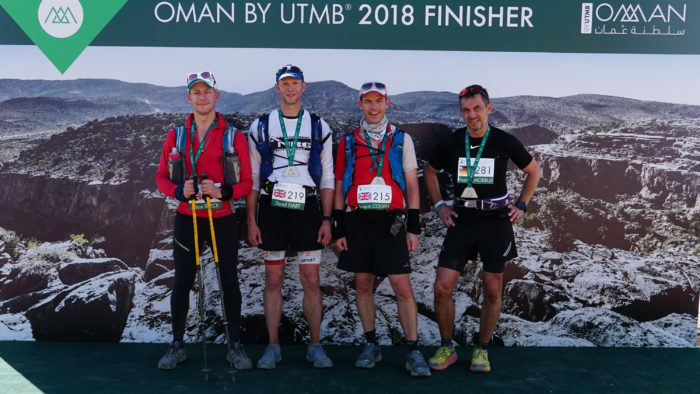 But crossing the line together, having battled across some of the most inhospitable mountain terrain imaginable, the feeling of satisfaction was immense. The victory was ours! Next year the plan is to add another 23km and 2,200m of ascent to make it a 100 miler with 10,000m of vertical, as well as include shorter distances. It will be interesting to see how the race develops…! 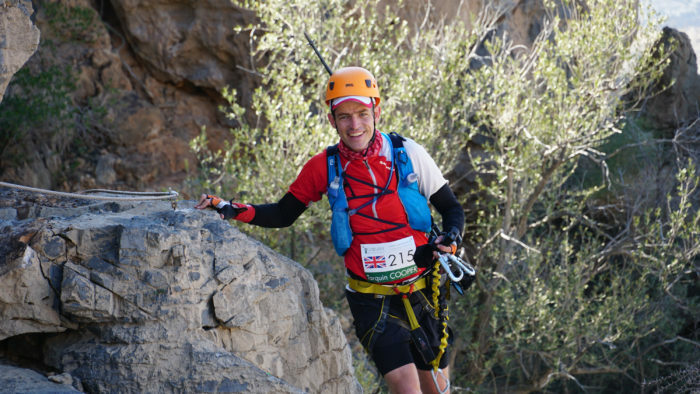 *Thanks to Land Rover Outdoor Phone, Salomon Running, and to ultra runner Tobias Mews for all the advice.